Cover letters are important if you didn’t know. Cover letter can be defined as an brief introduction of yourself for the job applied along with your resume. People who write good cover letters have a bigger chance of landing the job than those who don’t. Although earlier cover letters were mostly about the person writing it! But now things have changed drastically. Modern cover letters focus first on the company. That is what most experts recommend. The second importance goes to writing about your experiences and accomplishments. Plus you have to somehow prove it to the company that you are worth their time. And in order to do that, you must know some of the major rules and good cover letter tips. Your answer lies in this post. The following mentioned are few tips on how to write a cover letter for job application and also few things about cover letter layout and structure. It is a good thing to keep it short. A lot of you have this huge misconception that writing cover letter with a lot of words will fetch you enough attention. But that is not the case! You can make a very good impression if you write as much as needed. Keep things simple and don’t try to over complicate stuff. If you go by our suggestion, we would tell you to stick to three paragraphs in total. Half of a page is good enough for a decent cover letter. You can always keep their attention by writing statements that are juicy and interesting. The tone you use in the beginning of the letter is very important. For that you will have to understand the cultural background of the company. If it is just a startup, then you can be a bit casual with your words. But if it’s a big company that is professional and has a good name, make sure to use a tone that sounds much more serious. All of this matters a lot when you are writing a good cover letter. So make sure the tone is good enough to impress the judges. Now this is something you just have to maintain while writing an effective cover letter. You must try your best to stand out. Always remember that good cover letters come from those who are innovative and don’t care about the rules. Only a dare devil can stand out. And if you are one, then showcase that. Some people have used words like “bunk this” in the middle of the cover letter. It has always grabbed a lot of attention. Your point is to make things memorable for the manager reading it. You must know that the first impression is the last impression. If you can’t grab their interest right away, then you will probably fail in your mission. Therefore our suggestion would be to grab their attention from the time you start speaking. Dreadfully boring lines and sentences have been used earlier, especially where you talk about how you are so keen on getting the job. We mean everyone knows that and they have all heard it. One example can be used to explain. Start off with a line like “Are you in search of a typing guru? Don’t look anywhere because here I am”. Choose lines like this. When you are writing a cover letter for a job, you don’t really know who you are writing to. So our suggestion would be to address it no one at all. You could say something like “Dear Hiring Manager”. But if you are still unsure of who this letter is going to go to, then do not address to anyone at all. What you should do instead of that is write your points directly. That makes much more sense. Every job looks for certain kinds of skills. Look for them in the job description. And when you are writing your cover letter for job , mention those skills. Go through it very carefully and see what the best qualities they are in search of are. And then when you are writing the cover letter finally, speak about those skills and how well you can execute those tasks. Speak about how you have done them in the past and that you are well equipped in this field. A great way to impress someone with your job application cover letter is by sending it in PDF form. Not all offices can read files written in document. So it is best to send them in PDF. It will be easier for people to read. Plus it looks so much more attractive when you post it that way. One reason why we are suggesting you to choose PDF because file conversions otherwise leads to a whole lot of errors. So a PDF in that way would be great. Plus your hiring manager will think that you have enough interest in the job and are willing to go out of your way. It is important to be confident about yourself before you write a cover letter. What you have to do here is pretend. Think that the person you are about to write you already likes and appreciates you. You should write as if you know that the person understands your value and abilities. After that, write things down in your own words. It will come out in an easier way. Choose your words carefully while writing a good cover letter. You don’t want to sound inexperienced. Keep your language professional and interesting. This you will be able to do by skipping the introductory part. Please don’t start your cover letter for a resume by saying that this is your name and that you are applying for this kind of position. They are already aware of what you are doing here and what you want to land. So stating obvious facts will make it so boring. When you are writing a cover letter for a job, you can use numbers and statistics to prove a point. Companies and experts have often stated that it is a very good thing if you show that there is some experience you have with social media. But if you want to say it in an attractive manner, that is a better way to put it. You can say something like you have led a social media campaign that engendered 3.2 million followers and boosted the revenue by three percent. Your goal here is to present yourself in such a way that you come across as someone who can get good results in the long run. Another smart thing you can do is not put the same thing that you always put in resumes. Because your professional cover letter and resume will be put together and stapled. So if you mention all the same things, chances are they will not want to read your cover letter. Nobody wants to go through something this boring and uninteresting. We would suggest you to add some really cool and fun historical facts about the company. You can use Google for help. That will surely stand out we feel. Another valuable thing to remember is to proof read what you are about to send. Make sure there are no grammatical errors. Your English should be good enough for people to understand. Also try to amp your vocabulary. Let them know how well versed you are. But don’t show off whatsoever. We would suggest you to write the cover letter and read once it’s done. Then again after a while you should read the same thing. It will actually help you. Do remember that bad grammar and poor spellings can ruin your chance. So refrain from doing that. It is also important to end on a good note. Don’t make the conclusion part way too long. Towards the end you should write about your experiences on how getting this job can help you in the future. You shouldn’t take more than two to three sentences to write this. It should be quick and easy to read. People should be happy with the effective cover letter by the end of it. Always remember that best cover letters are often the decision makers. They make or break decisions. They can turn things upside down. But it is in your hands to make it right. 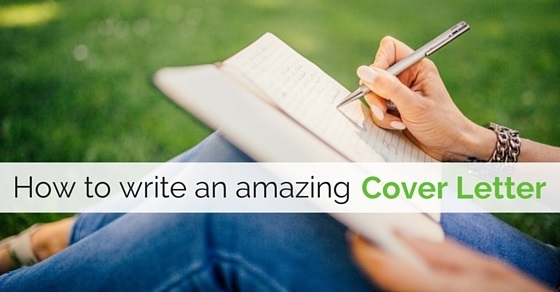 To write an amazing and creative cover letter is definitely not as difficult as many of you would think. The cover letter ideas and tips for writing a cover letter enlisted above will give you a good idea about it. Make sure to incorporate all to get results. And in case there is some feedback you would like to give, do post a comment below and tell us more. Some of your valuable questions will also be appreciated. We will try to answer them all. Till then, good luck with the perfect cover letter. Previous articleSalary Transparency in the Workplace – Is It Good?